InterServer Review 2019: Is InterServer a Good Hosting? 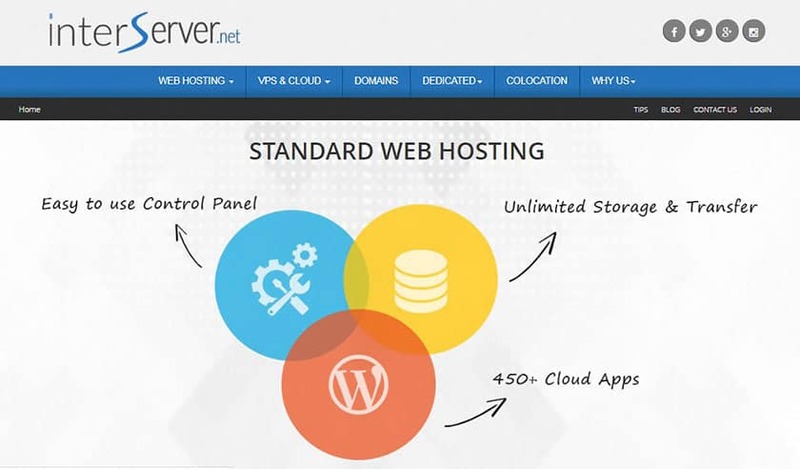 InterServer is an American web hosting provider with a full suite of services including shared, ASP.NET, VPS, cloud, and dedicated hosting. One of the best things about InterServer is that they offer a price lock guarantee – a policy rarely found in the ever-changing pricing landscape of web hosting. InterServer started out as a small reseller hosting company in 1999, but they’ve since grown their operations to include four data centers on the East and West Coast of the United States. They have a full suite of web hosting services including shared, ASP.NET, VPS, cloud, and dedicated hosting. One of the best things about InterServer is that they offer a price lock guarantee, which means that for as long as you stick with the same plan, you’re assured of the same price you originally purchased the plan at for the entire duration you stay with the company. On top of all of those, you also get free SSL certificates and the power-packed duo of LiteSpeed Web Server and Cloudflare CDN. This means added security and better loading speeds for your visitors, no matter where they may be located on the world map. Developers will also be happy to learn that InterServer supports all the most popular scripting languages, including PHP 5.5 – 7, Ruby on Rails, Python, Perl, MySQL, and CGI. Note that their single shared hosting package is Linux-based; if you need a Windows-based server, go for their ASP.NET or Windows VPS hosting plan instead. One noteworthy aspect of InterServer is their WordPress expertise. Whether you’re migrating your WordPress website over from another provider, or whether you’ve got a longstanding contract with them and your website was just hacked, InterServer’s experts can help you clean up your account and eliminate any WordPress-specific vulnerabilities. This added level of assurance is great for webmasters who plan on using the popular CMS for their websites. Note, however, that InterServer isn’t the most beginner-friendly of web hosts. While they offer a one-click app installer and a free migration service, they don’t have a website builder, and their admin panel can take a little getting used to. That said, the learning curve isn’t that steep, and users should have little problem getting their website up and running once they’ve gotten more familiar with the interface. Since they only have a single all-inclusive shared Linux and ASP.NET hosting package, they can’t really compete on price with the cheaper entry-level offerings from other providers. However, where they really shine is when your website starts getting bigger, or when you have to migrate to one of their cloud VPS plans. On top of that, InterServer doesn’t tie you down with long contracts; you get a reasonable rate that’s locked at that level for the entire duration you stay on that plan. Domain registration isn’t free with InterServer; instead, you get an extremely discounted domain with the purchase of any web hosting package. While I would’ve liked to see it included for free, the combined cost of the hosting and domain registration wasn’t too far off from the most competitive market rates, especially considering the unlimited resources and great features you get with their packages. InterServer has multiple support channels, including local telephone numbers for the United States, England, Israel, Brazil, and Mexico. Your best bet, however, is to log in through your customer portal and submit a ticket there. From my correspondence with their support staff, this enables them to quickly retrieve all the necessary account data so that they can more efficiently resolve any issues that come up. You can also contact them through email and fax. With excellent features and a rarely-found price lock guarantee, InterServer is a rock-solid web hosting provider you can stay with for the long haul. Take note that they aren’t well-suited to beginners, however, as they’ve got few beginner-friendly features and their VPS solutions are only semi-managed. Wondering how InterServer stacks up against other Web Hosting companies? Enter any other Web Hosting company and we will give you a side-by-side comparison.